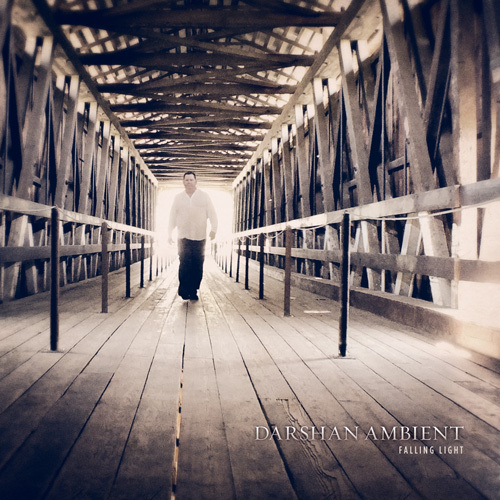 Picking up where 2011’s Dream In Blue left off, Falling Light finds Darshan Ambient moving more towards an almost ambient Americana sound this time around. The deliberate use of lap steel and slide guitars blended with synth textures that seem to stretch to the horizon, brings to mind visions of wide open spaces, big skies and endless possibilities. The trademark hypnotic and heartfelt style that has come to define all Darshan Ambient releases is definitely evident in the skillful use of multi-layered percussion, synth textures, bass, and guitar grooves, and Michael Allison’s unmistakeable compositional style is in top form, delivering thoughtful melodic phrases and themes with a familiar atmosphere.